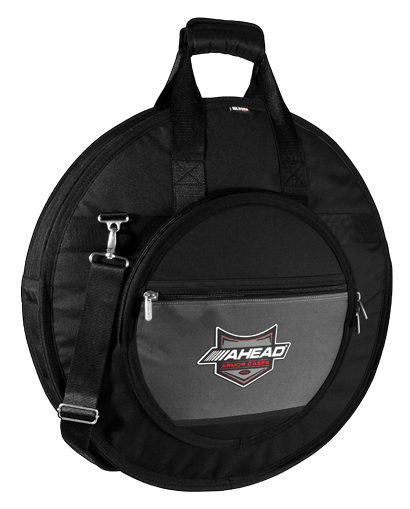 If you are a looking for a top quality cymbal case loaded with features at a great price, look no further than Ahead Armor's new Deluxe Heavy Duty Cymbal Case. The case is designed to house up to 24 inch cymbals, features the exclusive DX-Core Hi-Impact foam system for incomparable durability, super plush removable fleece internal dividers that are reinforced with PVC inserts, exterior 15" hi-hat compartment, heavy duty handles and shoulder straps, PVC reinforced bottom section, and heavy duty 600 denier water resistant exterior. 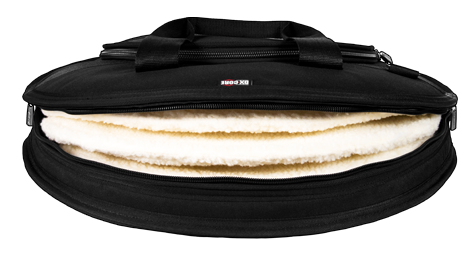 The new Deluxe Heavy Duty Cymbal Case will prove to be everything you would ask for in a high quality cymbal case and then some.